This is a late neutrophil (white blood cell of the polymorphonuclear leukocytes subgroup). It shows marked lobulation of the nucleus. The nucleus also exhibits a typical drumstick indicating that the blood specimen is from a male. The cytoplasmic granules are prominently displayed. 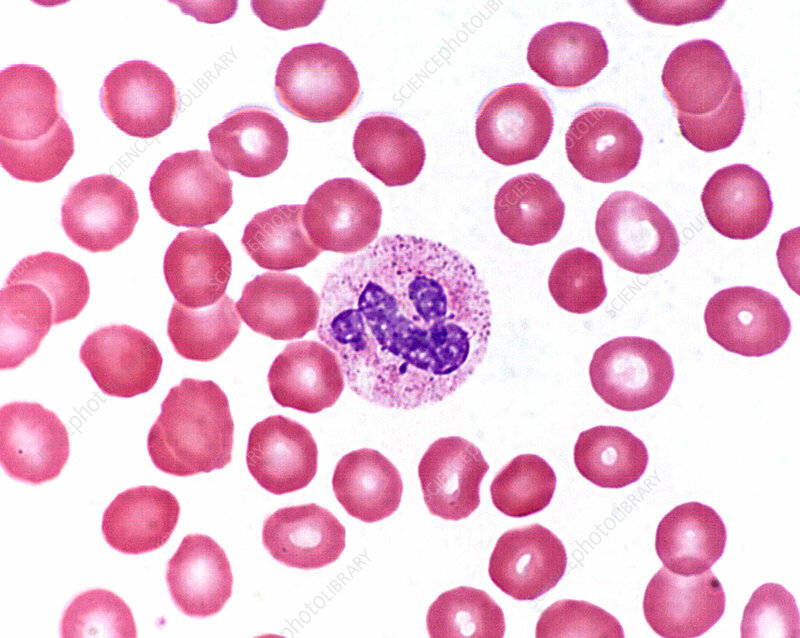 The size of this neutrophil is approximately 13 micrometers in diameter. Wrights stain.